Class subscription pricing follows a calendar month, and your subscription will renew on the first of each month until you decide to cancel, and you can cancel at any time. There’s discounts for high school and college students, JIVE volunteers, seniors, families (sharing a household income), and for those who pay for a full year at once. 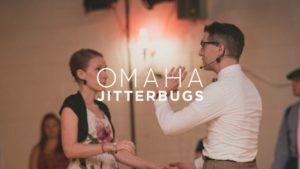 This subscription includes our weekday class series and practice sessions, Itsy Bitsy Jitterbugs, and Friday night “workshops”. This subscription does not include admission to Jitterbugs’ Night Out or any of our weekend workshop events, unless noted otherwise.